An efficient tiny kitchen can make all the difference between heaven and hell. Once you cultivate these 3 easy habits, you’ll find that living with a small kitchen can actually be an liberating experience rather than a constant juggling act. You could apply these habits to a home kitchen of any size, but you will find that they become increasingly more important as your kitchen gets smaller. Why Do I Need An Efficient Tiny Kitchen? People talk about efficiency all the time when it comes to business. Did you know that the same principles also apply to your home life? When you practice good habits at home, you develop skills that will not only help you save time and money, they will also help you establish peace of mind. A “zen” so to speak. When it comes specifically to a kitchen, efficiency can result in increased safety, time saved when cooking meals, a more pleasurable experience while cooking, and even better tasting food. A habit is a practiced action that you perform without thinking about it. Wouldn’t it be wonderful if your kitchen just cleaned and organized itself? How great would it be if, in the middle of cooking, you had every item you needed at the exact moment you needed it? 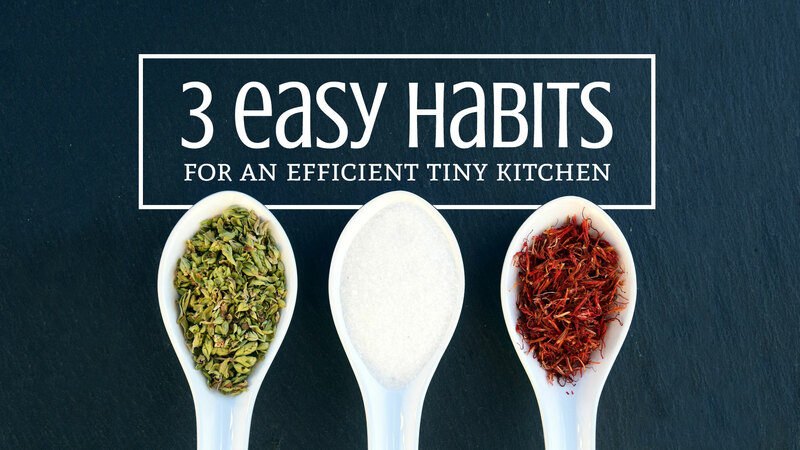 Your kitchen won’t do these things on its own, but by mindfully developing the following three habits, it will seem like it does. The biggest challenge when building an efficient tiny kitchen is getting out of your own way. The three main principles to make this happen can be summed up as: Strategize, Minimize, Sanitize. There’s no magic involved. It’s basically one cup of discipline and a teaspoon of planning. 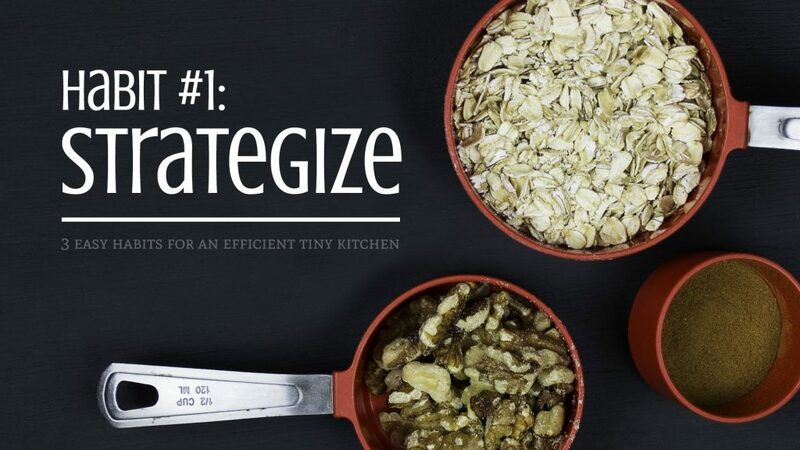 The first habit you need to develop while building and maintaining an efficient tiny kitchen is that of Strategy. Many people move into their homes and unpack; putting their things wherever they seem to fit. This is not the most efficient way to handle any kitchen, let alone a tiny one. Are pots, saucepans, and baking dishes easy to access? Can you safely access them in the middle of cooking? Are your spices easy to find and access? Are the cooking tools you need most right at your fingertips? Is there anything you can easily change to make things easier? Revisit your organizational strategy every few months to make sure that it’s still working for you. Spend time considering your space and how you interact with it. Reorganize your space accordingly. Do you have all the items you need and are they accessible? Are there any steps that you can perform in advance? 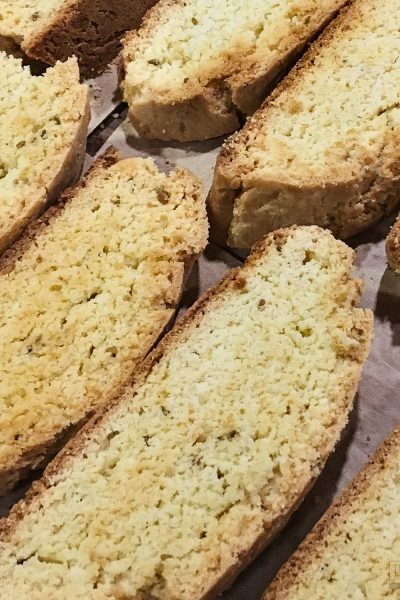 Do the recipe steps affect the order that ingredients should be prepared? Are there any meats that need to be prepared? If you are preparing meats or fish, do you need sanitization equipment available? When you’re all done cooking, think about what worked and didn’t work about a particular meal. Sometimes, I even add notes to my recipes that are specific to my kitchen and the process of preparation. That way, if I make the recipe a year later, I can remember and use my previous experiences to streamline the process. 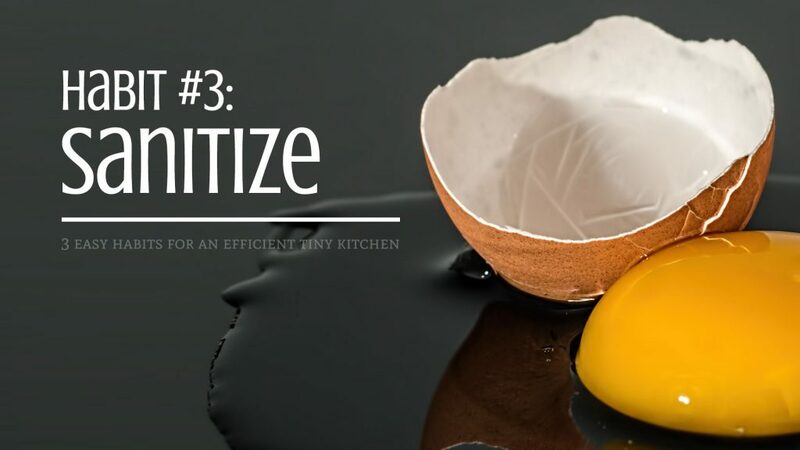 Habit #2: Minimize — Stop Buying Stuff! The only unitasker allowed in my kitchen is a fire extinguisher. Unitaskers are the enemy of an efficient tiny kitchen. When possible, learn to use multipurpose tools and get rid of all that space-hogging junk. Do you really need an omelette pan, a spiralizer, and a egg slicer? An often misunderstood element to minimalism is that many people think that living minimally equates to being cheap. This is simply not true. You want to buy the highest quality items you can afford. You just don’t want to buy more than you need. Also keep in mind that “high-quality” does not always mean “most expensive.” Do your research. Look to longevity and usefulness in everything you purchase. Finally, minimizing requires you to be realistic about your lifestyle. Do you really need place settings to accommodate 16 people or will place settings for 4 suffice? Have you ever used every single piece of tupperware you own at the same time? Get rid of the excess and you will gain much needed space to keep more useful items. So stop buying things. This is an active practice of discipline you need to be committed to. I’ve been practicing this habit for years and it’s still very hard for me to walk into a culinary store and not purchase anything I don’t absolutely need. Not only will this developing this habit keep more money in your wallet, but you will also find that you have more space for other important items in your tiny kitchen. This is a self-cleaning kitchen—clean up after yourself! When you have a limited amount of space, you need to work with every inch you have. The last thing you want is a ton of unnecessary items getting in the way. Remember, get out of your own way. Wash your dishes both before and after you cook. An empty sink means that you have all your cooking tools ready to go and that you have plenty of space to clean and prepare your ingredients. When you wash your dishes, instead of letting them sit on your countertop, dry them manually and put them away. When you get done preparing items, move them out of your way immediately. The art of stacking will become your best friend—using vertical space instead of counter space. 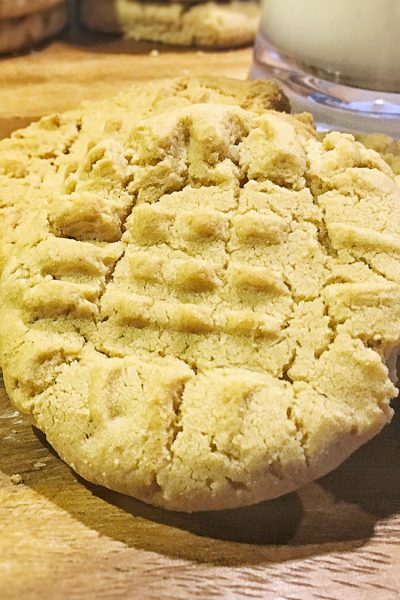 If you are in the middle of cooking and you have a spare minute, put away the ingredients that you have already used and will not need again. Usually, I leave spices out until the very end, because you never know when you’re going to want to adjust the flavor. Everything else can get out of the way. Strategize, Minimize, Sanitize. Remember that practice makes perfect. You’re not going to develop a habit immediately. It takes time and determination. 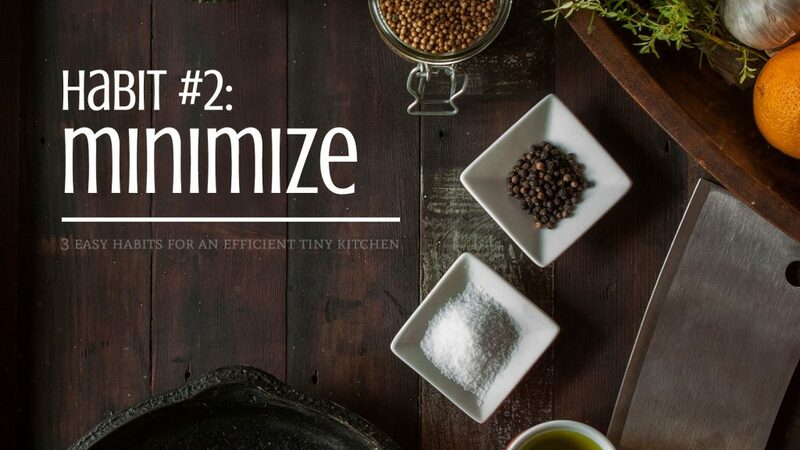 Rest assured that by developing these three habits, working in your tiny kitchen will become smoother and more efficient. How have they worked for you? Are there any other habits you’ve developed and would add to this list? Let everyone know in your comments below! The images in this article are sourced from Pixabay and are released under Creative Commons CC0. This is an amazing post! Thanks for sharing! Thanks Nadeshka! I’m glad you enjoyed it.